Wildlife Sanctuaries in South India: The exotic region of Southern India is home to many popular Wildlife Sanctuaries and National Parks of India. 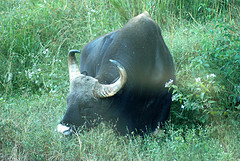 The picturesque landscapes and climate provide natural habitat to different types of species of wildlife in South India. For nature lovers, wildlife South India is an ideal destination to enjoy the breathtaking beauty of the wildlife sanctuaries and Bird Watching. Adventure tours travel India is very popular among tourists. Experiencing the wildlife Sanctuaries in South India is fascinating and tourists from all over the world visit here, every year. Read an article about Wildlife Photography.